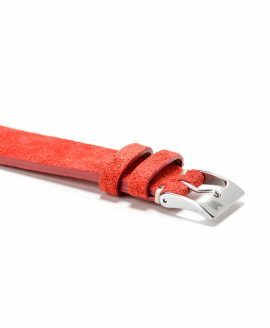 Meet the latest innovation in watch strap designs–the Perlon Strap! 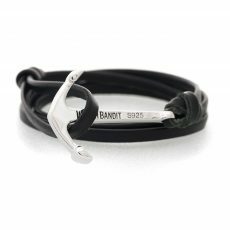 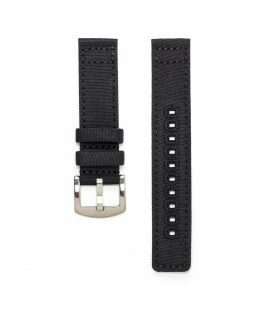 This unique watch band is designed by our team here at WatchBandit and is made of Perlon, a type of nylon that offers superior strength to resist wear and tear even with daily use. 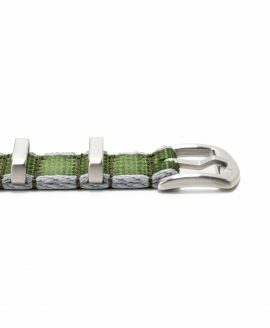 When you’ve replaced your ordinary watch strap with the Khaki Green Perlon Strap, you’ll have a timepiece that is sure to make others more than a little green with envy. 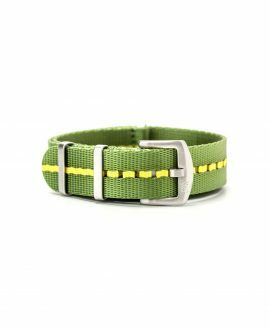 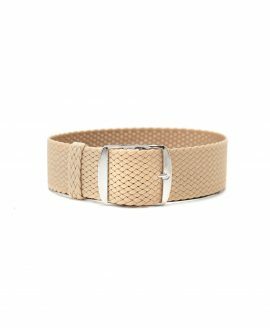 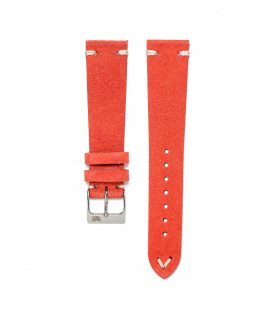 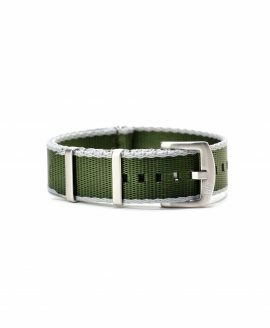 Not only does this replacement watch band look stylish with its green colour and adjustable buckle, but it also is a pleasure to wear due to its flexibility and lightweight design. 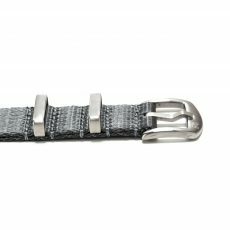 The ultra strong Perlon fibres provide comfort while making the watch as durable as it is enjoyable to wear. 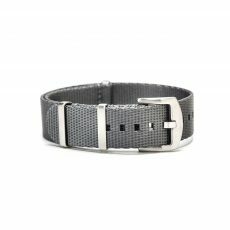 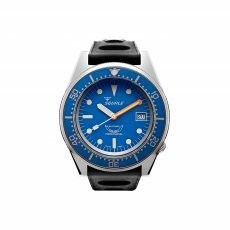 The strap is water-resistant and tear-resistant and is proportioned to fit most watch cases at 16, 18, 20, 22 or 24 millimetres in width by 270 millimetres in length.